The first teaser for Vox Lux has arrived online. The movie stars Natalie Portman and comes from Brady Corbet as his second feature. The project carries with it an ambitious story and a great cast led by Portman, who plays a very successful pop star who is also trying to raise a teenage daughter. This teaser doesn't really hint at much of what we're going to see in the movie itself, but it does give us a look at Portman, who is decked out and looking the part. This truly is just a tease. We follow Natalie Portman as she walks down a dimly lit corridor backstage, presumably at some very large arena, with the crowd cheering for her feverishly in the background. It's a behind the scenes glimpse at the life of a major pop star. There's some pretty vibrant orchestral music that kicks in about halfway through and takes us through the end of the teaser. It's an interesting, if unrevealing, first look at Vox Lux. The synopsis for the movie reads as follows. "The film begins in 1999 with teenage sisters Celeste (Raffey Cassidy) and Eleanor (Stacy Martin), who have survived a seismic, violent tragedy. The sisters compose and perform a song at about their experience, making something lovely and cathartic out of catastrophe, while also launching a career. The sisters draw the attention of a passionate manager (Jude Law) and are rapidly catapulted into fame and fortune, with Celeste as the star and Eleanor the creative anchor. By the film's second half, set in 2017, the now 31-year-old Celeste (Natalie Portman) is mother to a teenage daughter of her own (Cassidy) and struggling to navigate a career fraught with scandals when another act of terrifying violence demands her attention." It's quite fascinating that Raffey Cassidy, who previously starred in Disney's Tomorrowland, will be pulling double duty here as both Celeste's sister and her daughter in the second half of the story. 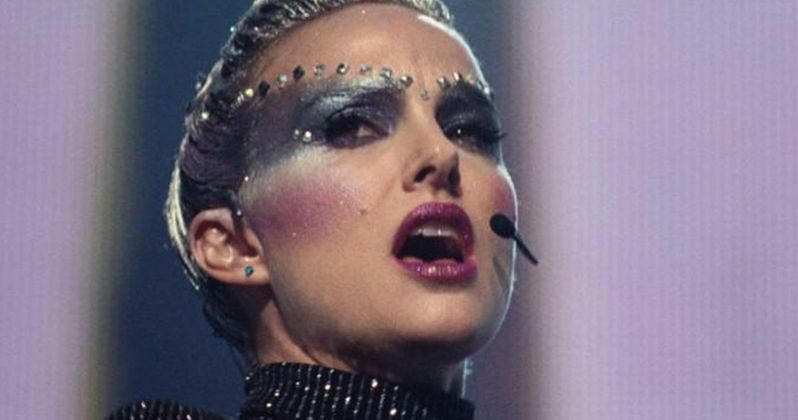 Vox Lux is set to premiere this upcoming weekend at the Toronto International Film Festival, which is largely seen as an unofficial kick-off of sorts to the annual awards season. It sounds quite a bit like Natalie Portman has a very meaty role here. She's been nominated three times and won in 2010 for her role in Black Swan. Could we be looking at the first glimpse of her next Academy Award-worthy role? Currently, Vox Lux is without a distributor, but depending on how it's received at TIFF over the weekend, that could change here very soon. The movie also comes with original songs from Sia and features a soundtrack composed by Scott Walker, who worked with Brady Corbet on his previous movie, The Childhood of a Leader. Since Vox Lux doesn't have a distributor, a release date has yet to be set. Though, expect to see it before year's ends to qualify for the Academy Awards. Be sure to check out the trailer, which was released via the It's Trailer Time YouTube channel, for yourself below.